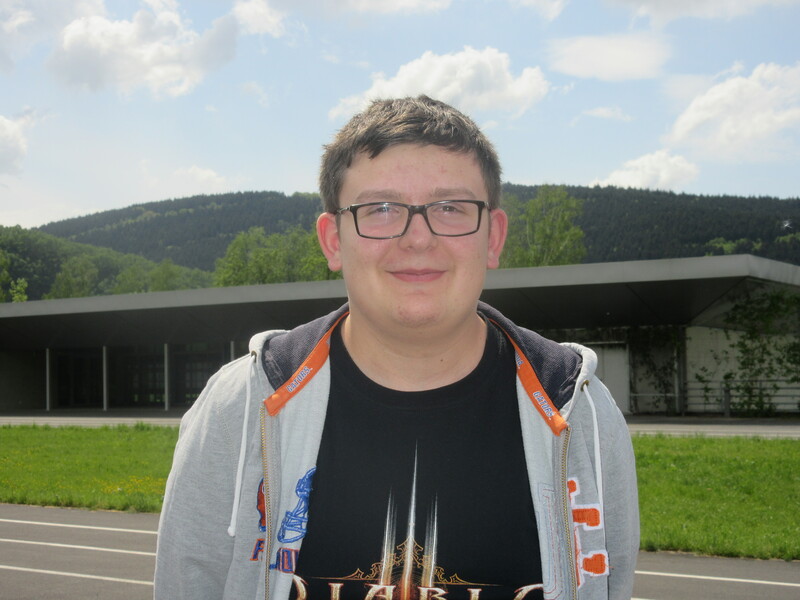 Hello my name is Lucas, I’m 16 years old and I’m in 9th grade in Jean Moulin High school in Revin. I live in Revin with my family but not with my brother Pierre because he studies in Troyes to become a computer engineer. My parents are mathematics teachers. I haven’t got any pets. I like playing video games and listening to music. I’m playing at multiplayer games like “League of Legends” or “Counter Strike: Global Offensive”. I like Metal and Hard music, and I like the most of the group. I’m playing drum with a harmony. I like cinema and Animes. My favorite movies are Terminator and Expendables and my favorites animes are Sword Art Online, Tokyo Ghoul, One Piece and Fairy Tail.